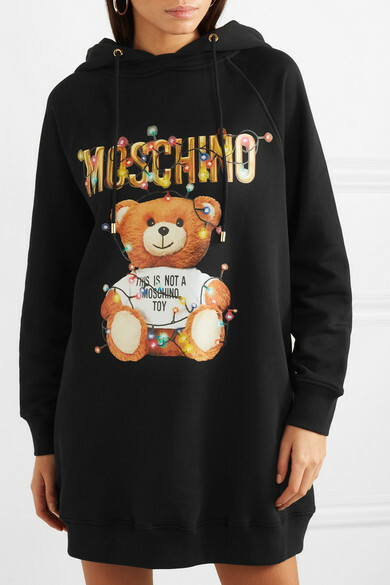 The inspiration behind Moschino's instantly recognizable teddy motif? 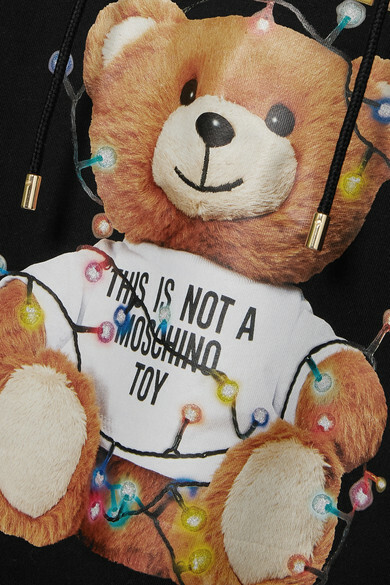 A dress worn on the label's Fall '88 runway - it was embellished with furry bear toys. 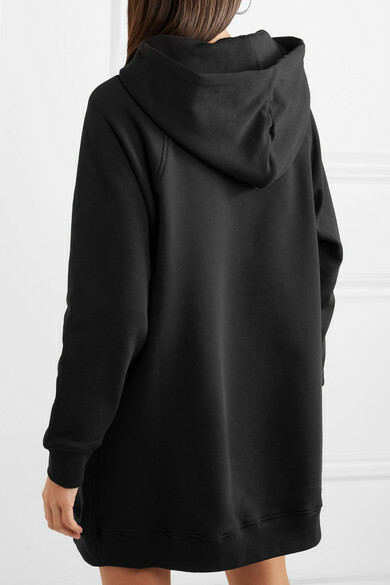 Cut from soft cotton-jersey, this hooded dress features the iconic animal printed beneath the house's lettering. Wear yours with chunky combat boots. Shown here with: Isabel Marant Belt bag, Alexander Wang Ankle boots, Isabel Marant Earrings.